If you’re looking for a sleep apnea doctor in San Jose, Santa Cruz, Los Gatos, or San Ramon, you’ve come to the right place! Spark Sleep Solutions is proud to offer a number of effective treatments and oral devices that are designed to help you get a better night’s sleep. As specialists when it comes to dental sleep medicine and TMJ pain, this exclusive and dedicated focus allows us to most effectively manage a variety of different sleep conditions like sleep apnea. While sleep apnea is mainly viewed as a threat to a good night’s sleep, there are plenty of other health risks and medical conditions that sleep apnea can cause as well. As your choice for a sleep apnea doctor, we’d like to tell you more about these risks of sleep apnea. 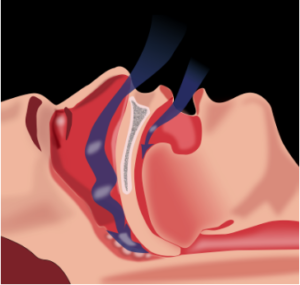 Obstructive sleep apnea (OSA) occurs when there’s a blockage of the airway while sleeping. The word ‘apnea’ actually means ‘without breath,’ and considering its name, it’s no surprise that this condition can lead to serious medical conditions that even include death. When we lie down, the tongue can fall back into our throat due to gravity. This along with the relaxation of the soft tissues can block some, and possibly even all, of the oxygen that’s attempting to enter our body. With obstructive sleep apnea, this can occur over hundreds of times a night! To make things worse, it’s estimated that about 38,000 deaths are caused each year by sleep apnea. As your San Jose sleep apnea specialist, even if you do happen to have sleep apnea, we can provide treatment options to help with this condition. Contact Your San Jose Sleep Apnea Specialist Today! If you have any questions about sleep apnea, please feel free to contact us. If you’re interested in scheduling an appointment with us at one of our four convenient locations in San Jose, San Ramon, Santa Cruz, and Los Gatos, we encourage you to fill out the ‘Request an Appointment’ form on the left of the page or give us a call at (408) 490-0182. We hope to hear from you soon and help you get a great night of sleep!